At Davidson & Nick CPAs, we're committed to providing quality income tax preparation services with a focus on personal, friendly service. You can rely on us for income tax services performed by real people that care about saving you money. Our attentive staff can identify valuable credits and deductions that will help you hold on to more of your hard-earned money. From personal tax returns for individuals to tax preparation for small and midsized businesses, Davidson & Nick CPAs has experience you can trust. We're constantly refining our skills and staying informed of adjustments in the tax laws. We make it our aim to keep pace with the most current Federal and State tax regulations in order to prepare accurate tax returns for all of our clients. Our goal is to offer reliable tax preparation services at reasonable rates to all kinds of taxpayers. Call our CPA firm today at 239-261-8337 or request a consultation online to learn more about our tax preparation services. We offer business tax preparation services for all types of businesses whether you have one location locally or operations in multiple states. We'll work hard to save you money so your business can realize higher profits. 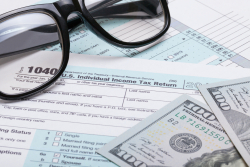 Get your tax return back fast with our income tax preparation services for individuals. We'll make sure you don't miss any money-saving deductions or credits so you get the highest tax return possible. In addition to traditional tax preparation, we're qualified to prepare trust, gift and estate tax returns. We meticulously prepare these types of returns and file them on time to avoid penalties. U.S. citizens working across the border or overseas have complex tax reporting needs. We're proficient in international tax law and can prepare these types of tax returns and file them electronically.